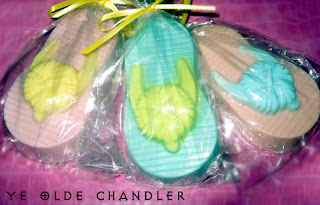 I just bought some flip flops from Faye and Lesli last week, and they are by far my favorite soaps to use. I got the stormy day/coconut scent and its really to DIE FOR (and the shipping was really fast too)! Smells just like a day on the beaches of Waikiki.... I can almost picture myself here! 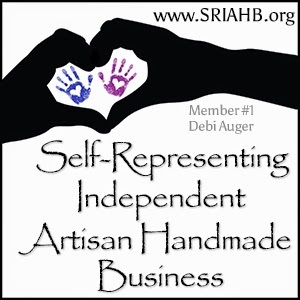 Great blog Debi! 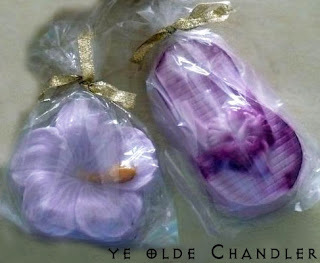 I have purchased soaps and candles from Faye and Lesli, and they are always top quality! 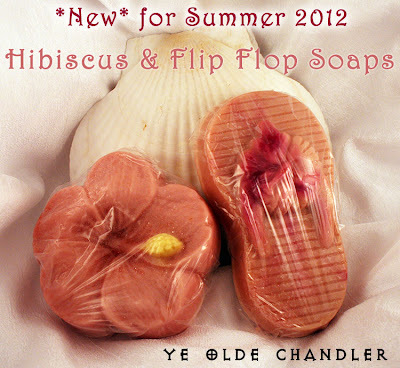 The new flip flops and Hibiscus soaps are not only pretty to look at, but have the most incredible scents. The new Tropical Romance and Hawaiian Suntan scents are fantastic, and will take you away to the beaches from the moment you take in their lovely fragrances. These are a nice substantial size soap too, not the tiny hotel sizes. 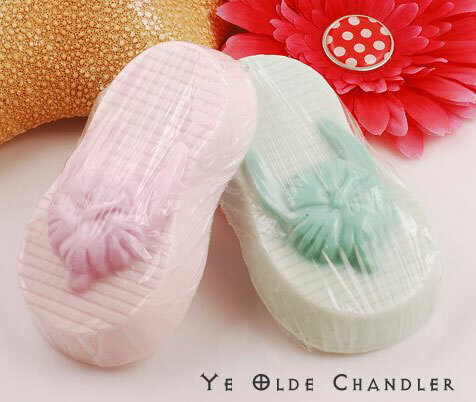 The flip flop soaps are 4 & 1/4" long, 2 & 1/2" wide, & over 1/2" thick! The Hibiscus soaps are 3" in diameter, and an inch thick! Their candles are great too. They are natural soy, burn evenly,and have scents that are not overpowering, or that bother my allergies or asthma. I can't say enough wonderful things about their products. Ooooh Nikki I'm going to have to try that stormy day/coconut one next. It sounds wonderful!! 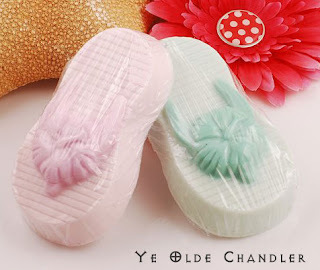 I LOVE these soaps! They're so pretty... I can't help but smile every time I grab one of them from the soap dish. And Faye and Lesli are putting together some amazing scents too! !